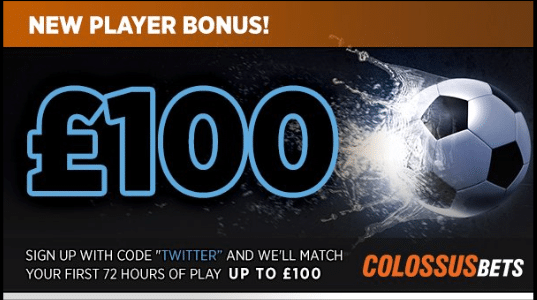 Top tips on how to fill your Colossus Syndicate! - Share and Socialise! Read our latest blog on our fantastic Colossus Syndicate game. We’ve all been there. We get a bit over excited sometimes. But we when it comes to filling a Colossus Syndicate – remember less haste more speed! You need a few hours before a pool closes to get enough people to fill your Syndicate. You can’t rush full steam into a Syndicate with 3 minutes to go. Keep reading for more tips! 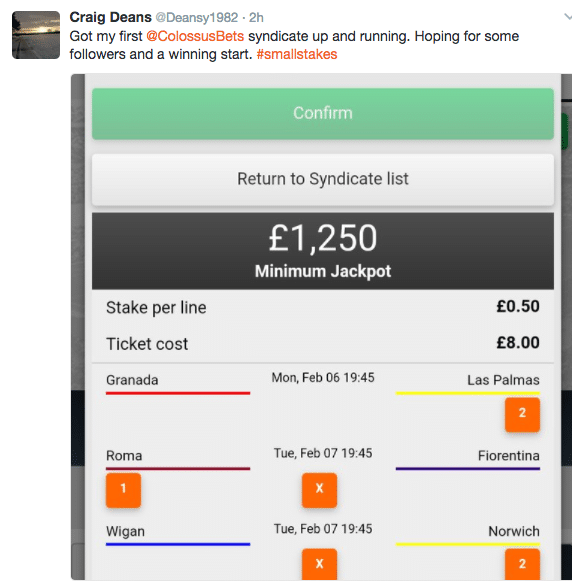 To start filling your Colossus Syndicate you need to start spreading the news! Get your automatic Tweet out ASAP! Hit the ‘Click to share’ button when you have made your selections! This Syndicate Captain is onto a winner! Make sure you give your friends and followers clear instructions! ABC! Always be closing! Keep selling your ticket! Share your Syndicate name and Reference code! Include your name and Code! 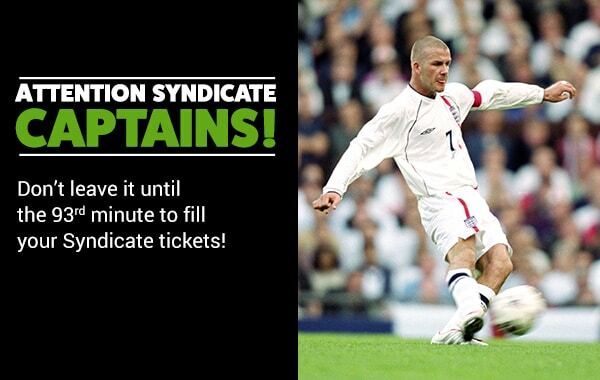 You will need about 10 people to fill your Syndicate! More expensive Syndicates require more contributions. Remember if you have a large ticket then you will need several contributors. Give your Syndicate a great name! So they can find and remember it. Inspirational! – Let’s Do this! Whatever way you choose! Make sure you give your Syndicate a clear name! So people can spot you quickly in the list. They can also use the search bar too! You manage Cash Out on behalf of your Syndicate so keep them up to date! Give them a Colossus bonus! Remind your friends and followers! That they will need to Login or Register. Here is a nice brucey-bonus to give your followers! They can Register with the bonus code ‘Twitter’. Why Join a Colossus Syndicate? Or these other useful blogs!